At any moment during the day, when you feel the call of God, tune in to seek His Word. You will find handpicked, well researched, programmes scheduled such that whenever you are so inclined, you might find yourself in the middle of a delightful conference, debate, evangelistic event, teaching or a prayer meet. No matter what the programme you have tuned in to, you will find yourself inspired, encouraged and filled with the loving presence of God. 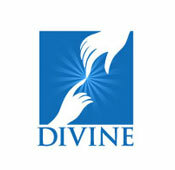 So, don’t worry about any particular programme schedule at Divine TV. Vachana Deepti Leaders of the Church, Bishops, priests and lay preachers expound the Word of God bringing home its relevance and richness. Streams of Grace This program has a message from the Word of God preached in all its power and beauty by inspired spiritual leaders of the Catholic Church from all over the world. Chakrikam This is the platform where the Bishops come to explain the doctrines and teachings of the Church especially as in the encyclicals. Karunya Vazhikal The Church has always had a preferential option for the poor. This program looks at the various services and ministries to the socially disadvantaged groups. Sneha Sparsam Our God is a consuming fire. People who have personally experienced the love of God have had their lives transformed. In this program such witnesses of God’s healing grace share their faith and the journey of their lives for the glory of God. Vachanopasana Bible scholars unravel the deep mysteries and great wealth in the Holy Scriptures from the Old through the New Testaments. Mukhangal The Cross is the power and salvation of God. A showcase of the inspiring lives of those who in spite of great struggles and limitations have gone against the current of their circumstances held on to the faith and achieved great heights. Yesuvinte Kunju Makkal A charming Children’s program celebrating the faith of the little ones. Sunday Choice A view of the parish life, the hub of Christian faith and community. Every episode is situated in the Sunday celebrations and activities of the parishes around this state. Bible Toons Lively and colourful animation series of Bible stories for children and adults alike. Devalayangalilude A study of the churches, their rich heritage, traditions and the faith community that surrounds these beautiful monuments of faith.